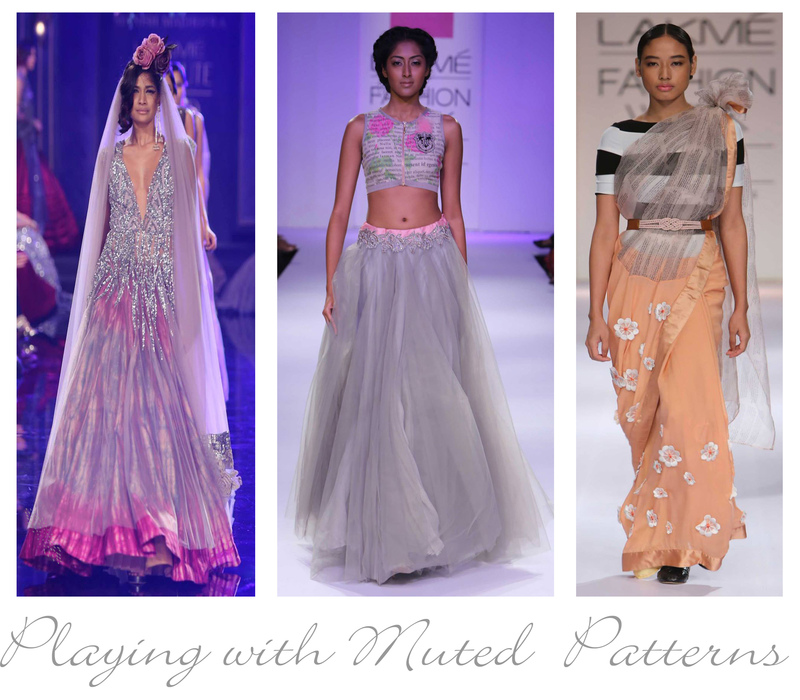 Even though I am little late to the game to talk about Lakme Fashion Week, I followed the shows very closely and did not miss a beat to take notes on some of my seasonal favorite looks. As much as I love to narrow down on few key pieces, it is nearly impossible for me to settle for less. So, I have rounded few of my favorite trends. 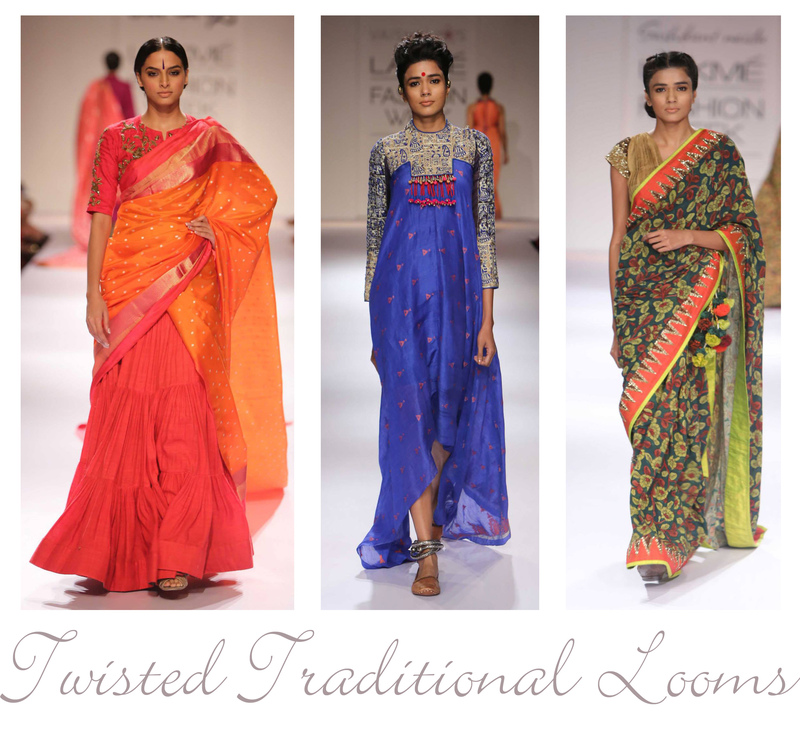 Handlooms always fascinate me by their rich and timelessness.Adding a modern twist to them makes them simplistic. Gaurang worked his magic exquisitely by mixing traditional weaves like Kanchipuram, Matka silk and Khadi while embellishing them with rich motifs like elephants, peacocks and rudrakshas using vintage Zardosi and badla work. Designer Vaishali presented rural tribe collection- Rabari with contemporary silhouettes like high-low hemlines by blending yarns like linen and cotton. Shashikanth Naidu portrayed minimalist woman using Kalamkari and Ikat prints on crisp fabrics like crepes and dupioni which are enhanced by metallic hues, sequence while adding fun tassels and pom-poms. Though I am mostly drawn to bright and warmer tones I am rethinking my choice of colors after this seasons usage of gray with pop of bubblegum pinks,stripes and pastel shades while layering fabrics like sequins,stain,tulle,organza and floral appliqués by my most favorite designers Manish Malhotra, Archana Rao and Anushree Reddy. 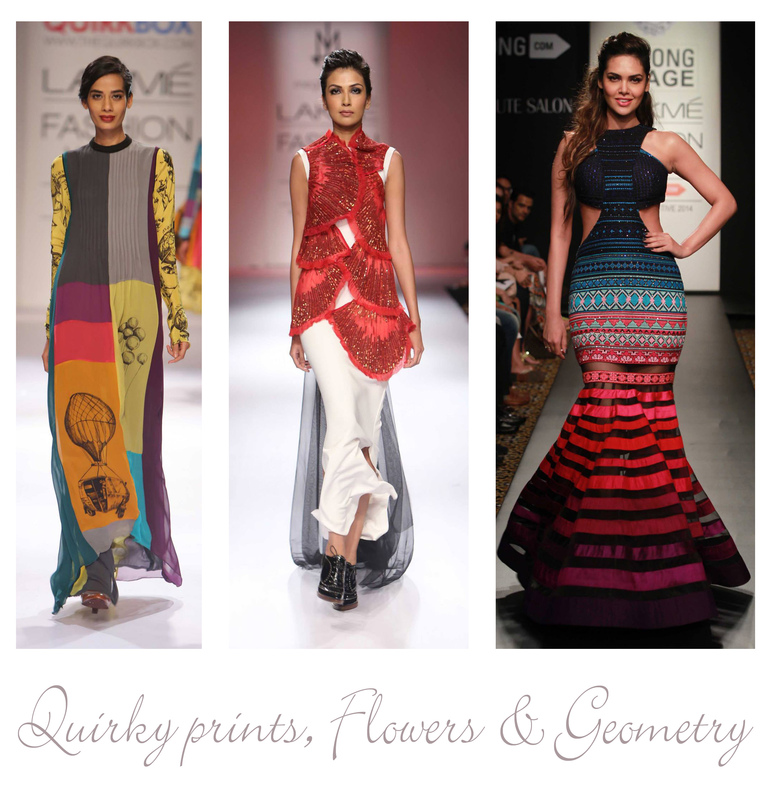 I have a thing for quirky prints, modern cuts and everything Ombre and these pieces from my fresh favorite designers like Neha Agarwal, Megha Ghargh and Quirk box makes me feel beyond existed. 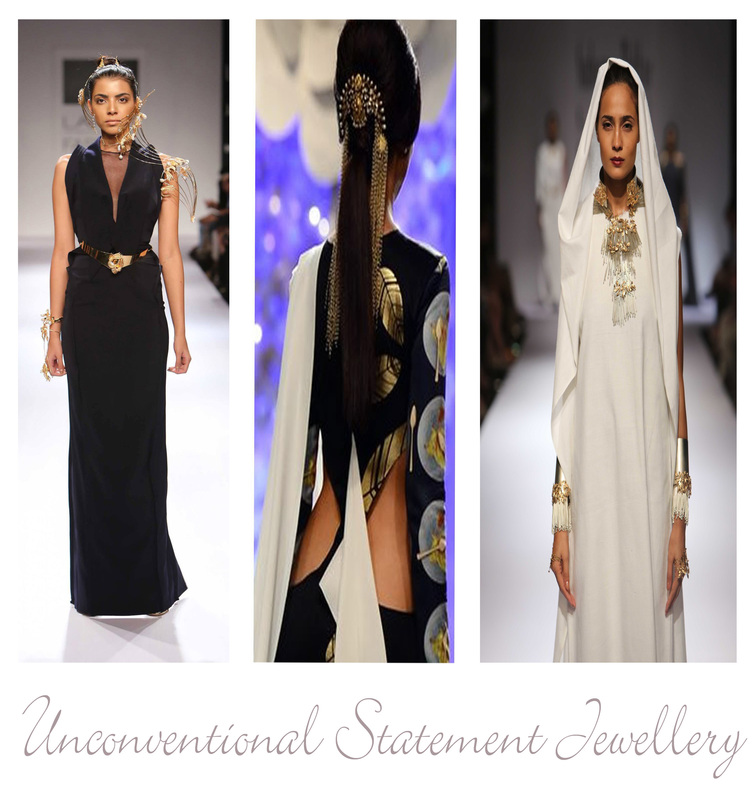 Dainty bracelets, Statement necklace and Vintage earrings are my signature jewelry but these feminized roman inspired armors from Outhouse,hair accessories by Amrapali for Masaba show and grecian looking hand and ear cuffs by Suhani Pittie are sure to add some unexpected twist to otherwise routine jewelry trends. Wow such a great and fashionable styles..impressive fashion show..all the collections are too good…thank you..